Tack on the value of the team’s ROOT Sports NW television holding and the Mariners no longer sit middle of the pack. No one knows for sure what ROOT Sports is worth, but if it’s $300 million or $400 million, that would vault the Mariners much closer to the top 10. Forbes came out last week with its annual Major League Baseball franchise valuations, and the Mariners were 15th out of 30 teams at $1.45 billion. But take that ranking with an ocean-sized grain of salt. The Forbes valuations have never included the value of any team-owned regional sports network (RSN), which the Mariners have and many teams don’t. Forbes calculations also don’t count all the revenue a team generates through its own RSN. This may not seem important to the average fan, but it is when it comes to discussions about the capacity of teams to take on player payroll. Two years ago, when an internal sale allowed a group of minority owners led by John Stanton to assume control of the team, the club valued itself at $1.2 billion and the RSN at $200 million. I’ve since been told by a source with knowledge of the sale that the RSN value was significantly understated. Well, the sale wasn’t to an outside group. It was to existing Mariners owners. Putting an accurate public price tag on the RSN wasn’t critical. All that mattered at that time was valuing the entire package at $1.4 billion so the ownership shares could change hands internally. So, we don’t really know. Another thing not counted in Forbes’ rankings is the total revenue an RSN can generate for a team. In the Mariners’ case, they declare an annual broadcast-rights fee amount to MLB that they are paid by their RSN. It’s effectively the team paying itself, so, in theory, they could make up any number they want. MLB knows this and — for revenue-sharing purposes — uses strict guidelines to ensure teams declare fees commensurate to their market value and that aren’t too drastically understated. These annual fees also are what Forbes uses in its revenue calculations. But neither Forbes nor MLB knows how much money the team’s RSN takes in. For years, the biggest advantage to a team owning a network was that it could shield vast amounts of incoming revenue from MLB revenue-sharing rules. They declared the revenue as being generated by the network and not baseball operations. MLB has gotten smarter over the years, but it isn’t going to catch all the extra cash flowing in. So knowing this uncounted revenue is out there is important toward understanding the capacity of teams to take on payroll. The Mariners are spending a team-record $167 million on payroll this season because of several back-loaded contracts hitting their peak. 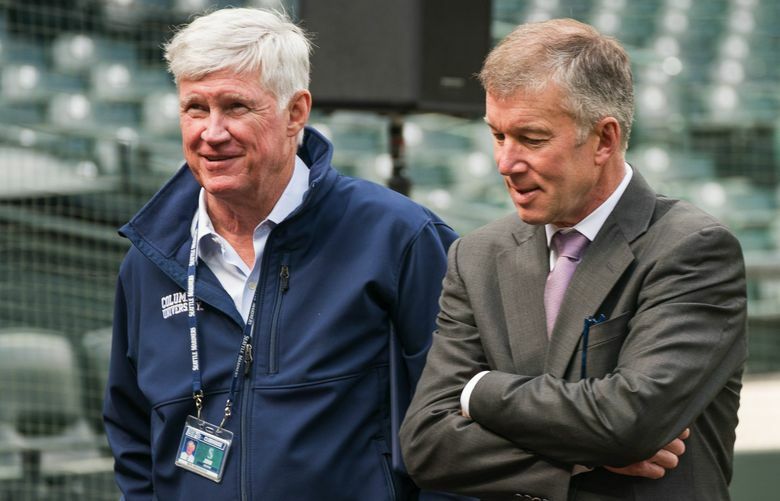 This month, Mariners president and CEO Kevin Mather told Seattle Times staff reporter Ryan Divish in an interview that the team was pushing limits by using too high of a percentage of revenues on payroll. According to the Forbes valuations, the Mariners garnered revenues of $288 million last season, which would put the team’s payroll at about 58 percent of that figure. So, Mather is correct about blowing past the typical 50 percent. But again, that $288 million revenue figure doesn’t account for all of the added money the team generates via its ROOT Sports holding. Throw that in, the percentage of total revenues — counted and uncounted — the Mariners spend on payroll drops closer to that 50 percent figure and perhaps lower. If these RSN entities weren’t a good deal, teams wouldn’t buy them. Sure, it’s no cakewalk and teams face challenges from “cord cutters” switching from cable TV to streaming devices. But the Mariners are partnered with AT&T, have a venerable distribution system covering multiple states and a looming prospect of significantly growing their RSN revenue in coming years. Anyone attending last week’s news conference introducing Tod Leiweke as the new president and CEO of a prospective NHL expansion franchise couldn’t help but notice all the Seattle sports team representation there. Stanton and Mather attended, Sounders owner Adrian Hanauer as well. The NHL team will need an RSN showing its games. So look for the Leiweke brothers, Tod and Tim, to team up with pal Stanton — maybe Hanauer and the Sounders get in there, too — on some type of rights-fee arrangement or new ownership reorganization of the network. Such a deal would significantly boost the network’s winter programming and likely put more money in the Mariners’ pocket that isn’t officially counted in their revenue box. So don’t worry, Mariners fans, yes they are spending more than usual this year. But they have value and resources to cover those wages and then some, even if it doesn’t show up on public ranking lists.